I'm blow drying my hair tonight with 1 arm so I can share with you my favorite hair products to use, before I curl or straighten my hair. Out of the shower, I towel dry and do other things if I have time to let my hair air dry some.. My hair is too thick and wavy to ever air dry completely. I first use Enjoy Conditioning Spray. It says it is a color holding formula.. It's good for detangling, protecting & frizz control. I'm obsessed with this & have bought it on eBay ever since probably 2003, when my old hair girl used it on me. Saw it at Ulta recently & the packaging changed. I also sometimes use Revlon anti snap, & want to give Pureology Essential Repair (not in photo) a try. I found YouTube videos on this brush called Hair Free. You can empty your hair out of it easily & it helps straighten your hair while you dry it. Got my mom 1 for Xmas..shh! I use a Revlon ceramic ionic blow dryer. Don't know if it's anything special, but I like it. And it has that narrow end piece that I use. Before I blow dry, I also like to put Morrocon Oil on my ends. Feels super moisturizing & smells amazing. 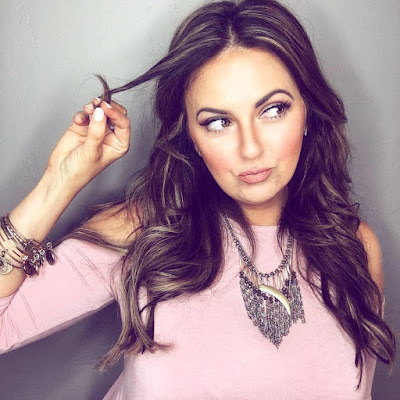 2 other products I am trying to use are heat protectors: Alterna Caviar Styling Spray & Kenra Platinum Blowdry spray, which I learned about from Michelle Money on her YouTube channel. It smells like Maui. Love that. When it's all shiny & done, I spray Alterna Caviar Anti Aging Rapid Repair Spray. It's super light weight & gives a good shine. I buy this on eBay too because it's cheaper. And I've been using this forever too. I try to only wash my hair 2-3x a week, since it takes forever to Blowdry & style. When it's blonde it's drier, but I've been having to wash it more now that it's dark & gets oily & dirty faster. It's a pain having such thick wavy hair, but it's fun to play with sometimes too! Hope you liked my post! 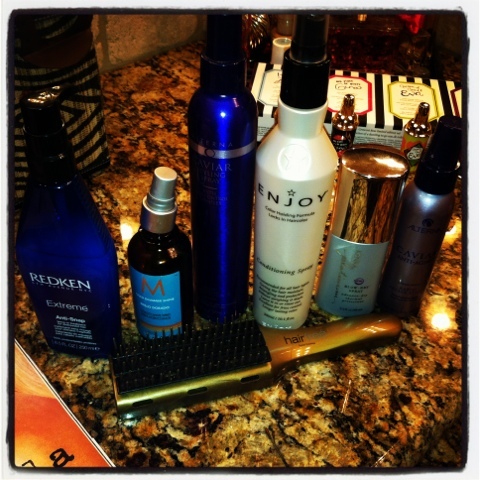 :) What products do you use to Blowdry your hair?